Scouts Lance Leve, Preston Core, Jackson Core, and Chris Wunderly (from left) show West Virginia businessman and philanthropist Jim Justice a pair of bikes that will be used when the Summit Bechtel Family National Scout Reserve opens in 2013. There’s more to building a high-adventure base than shovels and bulldozers. You also need some benevolent, big-hearted donors. And, thankfully, the BSA has philanthropists who are eager to help make The Summit dream a reality. Yesterday, the Boy Scouts of America announced an additional $85 million in contributions to The Summit Bechtel Family National Scout Reserve in West Virginia. That brings the total funds raised to more than $200 million in roughly two years. Among the latest group of generous givers: West Virginia philanthropist Jim Justice, who is president and CEO of Justice Companies Inc., which includes the iconic Greenbrier Resort where Justice and other contributors were honored yesterday. Justice’s gift will establish the James C. Justice National Scout Camp at The Summit. He’s right. 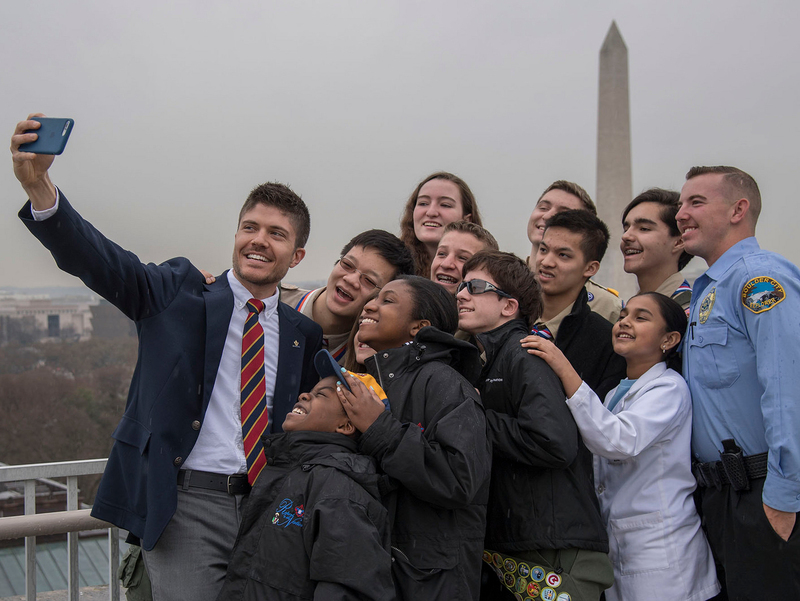 In addition to serving as the BSA’s fourth high-adventure base (and first in the Mid-Atlantic states), The Summit is also the site of future national Scout jamborees and the 2019 World Scout Jamboree. Also, let’s not forget about the others who helped bring the total to more than $200 million, including the S.D. Bechtel Jr. Foundation and the Stephen Bechtel Fund, which contributed $50 million to help kick off the largest project in BSA history. And last year, the Suzanne and Walter Scott Foundation gave $25 million, and Consol Energy donated $15 million. For other perspectives on this story, check out the Bloomberg, NPR, or Associated Press stories. The Summit opens in 2013, but the BSA’s three other incredible high-adventure spots — in New Mexico, Minnesota, and Florida — are open now. Here’s to the next 100 years of high adventure at these four amazing destinations!